STRACHAN, JOHN, teacher, clergyman, officeholder, and bishop; b. 12 April 1778 at Aberdeen, Scotland, son of John Strachan and Elizabeth Findlayson; d. 1 Nov. 1867 at Toronto, Ont. In the course of his voluminous writings over a very long life John Strachan frequently referred to his childhood and adolescence, most fully in his manuscript autobiography written in 1799. His parents, who were “not rich but respectable,” had six children of whom John was the youngest. His mother, who wanted one of her sons to become a minister, decided that “John the favourite must be made a gentleman,” and receive a “liberal education.” His father, an overseer in a granite quarry, reluctantly agreed to send him to the Aberdeen Grammar School where, after a slow start, he did well enough to obtain a bursary at King’s College, Aberdeen. 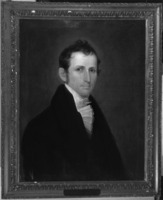 After one session, 1793–94, Strachan’s academic career nearly ended with the death of his father in an accident, for now he was without resources from his family. But in the fashion of penniless students at Scottish universities he turned to teaching, the first summer in the house of Lady Harriet Gordon at Banff and the second in a village school at Cannonside, 50 miles from home. Neither post was agreeable, but from them Strachan learned how to teach and assess strengths and weaknesses in human character; he also became more determined than ever to achieve his academic ambitions and to enter the world of gentlemen with literary tastes. In 1796, under more pleasant circumstances, he taught at a school near Denino (Dunino) in Fifeshire, not far from St Andrews, and attended the university as a part-time student. He took classes in divinity and was befriended by Thomas Duncan, later a professor, Thomas Chalmers, later the leader in the Free Church secession in the 1840s, and Dr James Brown, soon to be a professor at the University of Glasgow. The intellectual companionship at Denino and St Andrews was long a powerful inspiration for Strachan. In the fall of 1796 Strachan returned to Aberdeen and was graduated am in March 1797. He then returned to Denino and again enrolled at St Andrews. But now a complication arose: he fell desperately in love with a local girl, could not keep his mind on his studies, and his lack of funds put marriage out of the question. The only course was to leave Denino, and he was fortunate to acquire a school at Kettle, 20 miles distant, where the “emoluments” were twice as large. But he was now too far away to attend St Andrews, and the chances of rising above the station of parish school teacher must have seemed slight. Hence, he was receptive to an offer which came to him in March 1799 via Dr Brown, “to go to Upper Canada to teach.” He sailed from Greenock on 26 Aug. 1799, travelling by way of New York. He hoped to secure a position there, “in case my situation should prove disagreeable.” Strachan’s passionate commitment to Upper Canada was yet to be acquired. The youthful schoolmaster reached his new home at Kingston on the last day of 1799. His task, at an annual salary of £80, was to tutor the children of Richard Cartwright* and of a few other prominent people of the town, including those of the Church of England clergyman, John Stuart*. He had also been promised that an “Academy” would be established and that he would be mathematics teacher. 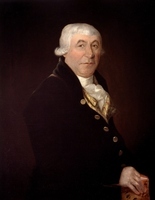 He lived in the house of Cartwright, a well-read loyalist from New York who had once planned to take holy orders, a member of the Legislative Council, and a well-connected merchant. He continued his studies with Stuart, also a loyalist from New York and a man who had once been a Presbyterian. Three years in the intimate company of these two men, combined with the generally conservative atmosphere of Kingston, helped to set Strachan’s outlook on the affairs of Upper Canada. In these years he also established contacts with leading merchants in Montreal. It was soon apparent to Strachan, however, that there was no early prospect of the establishment of an academy. He would have to make his own way if he were to secure advancement, and so he came back to his mother’s ambition that he become a clergyman. 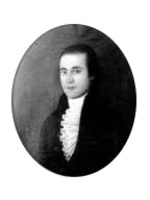 In 1802, probably with Cartwright’s approval, he made a private inquiry through a friend concerning a vacancy at the St Gabriel Street Presbyterian Church in Montreal. (It turned out that the vacancy had been filled, but the “friend” kept the letter for 25 years and then published it when it would cause Archdeacon Strachan the most embarrassment.) In the next year, armed with a letter of reference from Cartwright, Strachan presented himself to Bishop Jacob Mountain* for ordination in the Church of England. The letter informed Mountain that Lieutenant Governor Peter Hunter* intended to appoint Strachan to the mission at Cornwall. On 22 May 1803 he was ordained deacon and on 3 June 1804 priest. Since Strachan’s taking orders in the Church of England later became the subject of intense controversy, it is as well to review the matter briefly. To his enemies the case was clear. 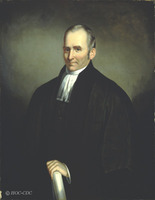 He had been brought up a Presbyterian; he had been ready as recently as 1802 to take a Presbyterian church; he had soon realized, however, that his own career and ambitions would be best furthered by joining the Church of England, and so he had “turned his coat.” On the other hand, his father had been a non-juror and had often taken him to St John’s Episcopal Church, Aberdeen, where they had heard the eminent Bishop John Skinner, and his mother belonged to a Presbyterian group that had seceded from the Church of Scotland. Strachan explained that on basic questions of theology he did not see fundamental differences between the Church of England and the Presbyterians, and that his decision in 1803 owed much to the personal example and influence of John Stuart. Strachan began his new life at Cornwall in the summer of 1803, and at first he found little to encourage him. A letter in October of that year to Dr Brown reflected his mood and also touched on themes that would figure prominently in his later career. He considered Cornwall society “very indifferent,” with few “independent or respectable” and few educated persons. The common people, “almost all Americans,” had “little or no religion” and minds “prone to low cunning.” Methodists, Lutherans, Catholics, and Presbyterians greatly outnumbered his flock, and he faced much work in building parishes. Strachan intended to “attack and expose” the Methodist notion of “sudden inspirations,” and added, “I need hardly tell you that I am not popular. . . .” Despite his early opinion of the town, where he lived until 1812, it was at Cornwall that he laid the basis for all his later achievements in Canada. He soon acquired a reputation as an industrious and highly successful parish priest, and was making himself known to clergymen elsewhere in the British provinces. He established ties of marriage, of friendship, and of influence that bound him irrevocably to Canada. Finally, and in some ways most important, he quickly emerged as the most outstanding classroom teacher in the province. Within a few weeks of his settling in Cornwall, Strachan was in touch with the parents of some of the boys whom he had been teaching in Kingston to suggest that they be sent to him to continue their schooling. Among those who came were John* and William Macaulay*. Another was a fatherless 12-year-old lad, John Beverley Robinson, recently in the household of John Stuart, soon to be almost an adopted son of Strachan, and later to be his closest and dearest friend. In 1804 Strachan had more than 20 students and by 1808 about 40, a figure that remained fairly constant down to 1812. The boys came from all parts of the province, and were the sons of leading figures in government, business, and the professions. Strachan deliberately set out to train them as potential rulers of the next generation. At Kingston Strachan had been little more than a family tutor; now he had his own school and freedom to develop his own techniques and methods. Not surprisingly he borrowed heavily from his Scottish background, but he also adapted his curriculum to the needs of Upper Canadian society. When he could not find a textbook to suit local needs, he prepared one himself, A concise introduction to practical arithmetic; for the use of schools (Montreal, 1809). Although not neglecting the classics, he stressed the teaching of natural science and managed, through friends in the legislature, to secure an appropriation of £400 for the purchase of scientific apparatus. In short, the academic curriculum of the Cornwall Grammar School was up to date, varied, and of a high standard. Moreover, Strachan, who used corporal punishment less than was usual, devised intricate systems of rewards and competitions to a considerable extent operated by the boys themselves, which were calculated to interest them in their studies and make them extend themselves fully. Strachan also never saw the acquisition of knowledge as an end in itself. The boys were at school to learn to become British patriots and Christian gentlemen. Love of country, respect for the constitution, and the importance of performing civic duties were systematically inculcated. Prayers were said each day, Church of England students (who were in the majority) were taught the church catechism, and on Saturday morning Strachan delivered a religious and moral lecture on which the boys were quizzed during the following week. It was his confident hope that boys who had received this kind of training would do much to raise the tone of Upper Canadian society. When his highly reputed school began receiving government support following the Grammar School Act of 1807, Strachan received an annual stipend of £100. 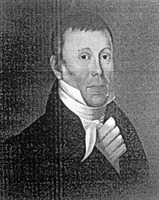 In the spring of 1807 he married Ann Wood McGill, the daughter of a Cornwall physician and widow of Andrew McGill of the prominent Montreal mercantile family. Strachan, who always found himself “happy in the connexion,” wrote Brown that she had “a great share of beauty” and “an annuity of three hundred a year during her life.” While they were at Cornwall, James McGill was born in 1808, Elizabeth in 1810 (d. 1812), and George Cartwright in 1812. Later, at York (Toronto), were born Elizabeth Mary (1814), who subsequently married Thomas Mercer Jones, John (1815), and Alexander Wood (1817). Two other daughters, born in 1821 and 1824, died as infants, and a third, Agnes (b. 1822), died before reaching her 17th birthday. Strachan had married well and had built a good church, parsonage, and school. In 1811, after he suggested to Dr Brown that “a degree might in some measure increase my influence,” Strachan received from the University of Aberdeen the honorary degree of Doctor of Divinity. He was clearly a success, but it is doubtful whether he saw Cornwall as a large enough stage for his talents and energies. In 1811 his long-standing ambition to found a university received some encouragement from a conversation with the elderly James McGill*. Without close relatives, McGill wondered how to dispose of his extensive property, and Strachan suggested that it should be left for the encouragement of education. In consequence McGill made a will leaving the bulk of his estate to four trustees, one of them Strachan, who were to turn it over to the Royal Institution for the Advancement of Learning if the latter established a college within ten years. McGill, who died in 1813, clearly contemplated that Strachan would be its principal. 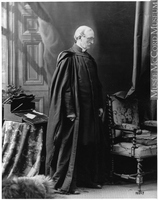 For various reasons he never was, but Strachan can be reckoned among the founders of McGill University. Another event of 1811, the death of his old friend and mentor John Stuart, was more decisive for Strachan’s future. He hoped to succeed Stuart at Kingston, but at the widow’s request Bishop Mountain selected her son, George Okill Stuart, then rector of York, to be bishop’s commissary and rector at Kingston. 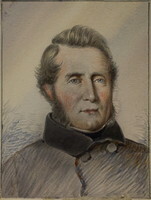 Strachan’s bitter disappointment was not assuaged by the offer of the post as rector at York, but when the administrator of the province, General Isaac Brock*, increased the income by offering him the chaplaincy of the garrison and of the Legislative Council, he accepted. He and his family arrived in the provincial capital in June 1812, at about the time that the United States Congress was declaring war on Great Britain. Strachan was as good as his word in performing his own duty. He took a strong interest in military strategy, praised Brock for taking the offensive, and criticized Sir George Prevost* and others who adopted a defensive policy. In December 1812 he joined with other “principal Inhabitants of the town of York” to form the Loyal and Patriotic Society of Upper Canada, of which he became president and later treasurer; a principal purpose of the society was to raise funds “to afford relief and aid to disabled militiamen and their families.” He was indefatigable in ministering to the sick, the wounded, and the homeless throughout the war years. Above all, however, he achieved lasting fame in the annals of Upper Canada by his conduct during the two American invasions of York in the spring and summer of 1813. On the first occasion General Roger Hale Sheaffe* withdrew his small defending force, and it was left to certain leading residents to make terms with the enemy. Strachan was quickly to the forefront, helping to write the terms of capitulation, complaining when they were not enforced, seeking to prevent looting, and generally protecting the interests of his parishioners. He performed the same role when the Americans came back at the end of July, even extracting from Commodore Isaac Chauncey a promise of the return of some books taken by American soldiers on the earlier occasion. Strachan’s courage and activity in the face of the enemy were never forgotten by his fellow townsmen. The war also had a lasting effect on Strachan’s own outlook: he was now completely and irrevocably an Upper Canadian. 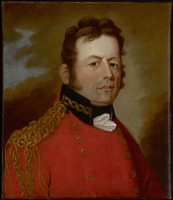 He believed that the province had been saved by “the astonishing exertions of the Militia,” and with the return of peace he redoubled his efforts to ensure that Upper Canada would be made worthy of the heroes who had resisted the invader. As before, Strachan’s central concerns were in the sphere of religion and education, but with the close of the war he concluded that he could not achieve his objectives without playing a leading role on the provincial political stage. 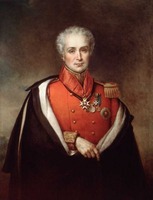 In 1814 he had already been considered by General Francis de Rottenburg* for appointment to the Executive Council, and in September of the next year he was made an honorary member of that body. He was a regular member from 1817 to 1836. Although his main fields of interest on the council related to religion and education, he quickly demonstrated an outstanding talent for administrative business, and during the 1820s at least he was one of the most important and influential members of the provincial government. Strachan’s early experience in the government soon convinced him that he must also seek a seat on the Legislative Council. 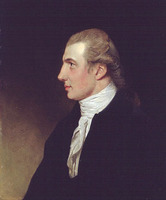 In a letter to the retiring lieutenant governor, Francis Gore*, on 22 May 1817, he argued that the interests of the “established Church” were suffering because Presbyterians were in a majority on the Legislative Council, and he asserted that it was his “duty to offer [his] services.” He admitted that his “motives [were] not altogether disinterested.” He would be able to influence at least two members of the Council and “combat with success the probable opposition.” Furthermore, “With the Lower House I shall by means of my pupils possess a growing influence. . . .” The appointment finally came in 1820, and Strachan remained in the upper house until the union of the Canadas in 1841. 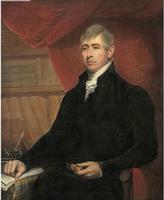 As Strachan was acquiring political office, conducting the Home District Grammar School, serving his extensive parish (including preaching monthly at York Mills, seven miles north of the town), and building a large house (to be known as The Palace), he was also interesting himself in numerous incidents and issues in the life of York. In 1815 he was so outraged at the Earl of Selkirk [Douglas*]’s proposed settlement on the Red River that he wrote A letter to the . . . Earl of Selkirk . . . (London, 1816), denouncing the scheme as both impracticable and harmful to the interests of Upper Canada. Most notorious of all was his opposition to Robert Gourlay. Indeed, at first he was alone in official circles in disapproving of Gourlay’s “Address to the resident landowners of Upper Canada” (October 1817), and he stated that Gourlay became “exceedingly enraged against me as my opinions had by some strange breach of confidence been communicated to him.” When Gourlay’s plans were subsequently thwarted, “he began to write in the newspapers and giving me credit for all his disappointments. I became the particular object of his attack. His abuse and ravings I little regarded. . . .” Some months later Strachan wrote to Dr Brown that “All my pupils now the leading characters in many parts of the Province opposed him sternly. A character like Mr. Gourlay in a quiet Colony like this where there is little or no spirit of inquiry & very little knowledge may do much harm . . . by exciting uneasiness irritation & . . . unreasonable hopes. I tried to infuse some energy into the administration but it was too feeble till [Sir Peregrine Maitland*] came out.” Gourlay’s writings and activities inspired Strachan to take up his own pen in defence of “the measures of Govt” and to counteract the “sullen discontent” that had “been infused into the minds of the people.” He wrote to John Macaulay, proposing to prepare anonymous letters to be published in the Kingston Gazette. In 1819–20 he also published a religious newspaper, the Christian Recorder. As well, he prepared a book for the British public, aimed at convincing prospective settlers to come to Upper Canada rather than the United States. All were welcome except “levellers and democrats” who would find “no kindred spirits there.” Strachan used the occasion of a visit from his brother James to have the book, A visit to the province of Upper Canada in 1819 (Aberdeen, 1820), published under the latter’s name, ostensibly as one of the emigrant guide-travel books of the period. The second report, addressed to General Gordon Drummond*, the administrator, was a terse but comprehensive survey of the changes needed to improve Upper Canada’s educational system. First, a university must be established as soon as possible to make it unnecessary to send “young men out of the Province to finish their education”; Great Britain was too far away and too expensive and “those sent to the United States commonly learn little beyond anarchy in Politics & infidelity in religion.” The university should be open to “the youth of all denominations.” Second, the existing system of district grammar schools should be continued and improved; he called for annual reports from the trustees, public examinations, free tuition “in order to open the way to the poorer Inhabitants to a liberal Education for their promising Children,” and the careful selection of teachers (“That no person who is not a natural born subject of the King and fully qualified to teach . . . shall be capable of becoming [a] Master”). Third, he called for government support for a system of elementary (or “common”) schools. Finally, he asked that a provincial “board of education” be set up to supervise the system at all levels. Strachan would devote much of the rest of his career to attempts to implement this wide-ranging plan. The most immediate need was for support of common schools. In 1816 Lieutenant Governor Gore endorsed Strachan’s proposals and later that year the legislature passed a Common School Act, which apparently had been largely drafted by Strachan. With two amendments in 1820 and 1824 this act remained the basis of Upper Canada’s elementary school system until 1841. In 1819 a revised Grammar School Act also adopted some of his suggestions, but failed to provide for free education; the most that was thought to be financially feasible was free tuition for ten poor students in each district. Lack of money also prevented any start on a university in the decade after 1815. 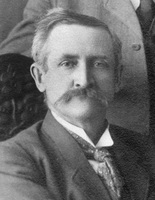 Strachan’s efforts to establish a board of education involved him in much more controversy than did his work in promoting school legislation. In December 1817 he wrote to the administrator, Samuel Smith*, that the colony needed “an Inspector or Superintendant of Schools in order to produce uniformity of System,” and “To discharge the duties of this Office . . . I respectfully offer myself a Candidate.” Delays followed but finally, in 1822, the Executive Council approved the appointment of a General Board of Education, with Strachan as president, at an annual stipend of £300. 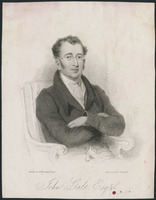 With the assent of the Colonial Office in 1823, the board began to function, and Strachan relinquished his post as headmaster of the York grammar school, thus ending some 30 years of classroom teaching. 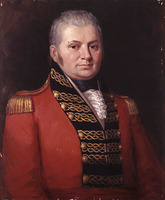 The fact that the members of the board all belonged to the Church of England and that they were given power to supervise the school lands that had been reserved in Governor John Graves Simcoe*’s time was a source of alarm to the emerging reform movement, for it was increasingly believed that the school system was falling under Tory and Church of England control. 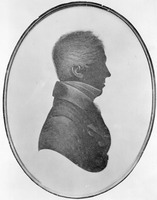 With his numerous offices Strachan was also coming to be seen in reform circles as a political priest who was seeking to rule Upper Canada in defiance of public opinion. The board and its president were subjected to mounting criticism until it was abolished in 1833. The need to strengthen the position of the Church of England in Upper Canada was further brought home to Strachan by the introduction in the assembly in 1817 of resolutions attacking the clergy reserves as “an appropriation beyond all precedent lavish”; the resolutions (“pregnant [with] revolutionary spirit,” according to Strachan) only failed of adoption because of an abrupt prorogation of the legislature by the lieutenant governor. In the next year Gourlay’s questionnaire also revealed some popular discontent with the reserves. Strachan’s response was not only to seek a seat on the Legislative Council, as already mentioned, but also to propose a corporation for superintending the reserves in order to place them firmly under the clergy’s control and also, it was hoped, to initiate a more active leasing policy. After some delay the Upper Canada Clergy Corporation was constituted in 1819, to consist of the bishop of Quebec, the clergy of the Church of England in Upper Canada, and the inspector general and surveyor general of the province. A quorum consisted of three, and over the next several years the corporation was in fact run by Strachan, acting as chairman, and the two public officers. Of 37 meetings held by the end of 1827, Strachan missed only three. But long before 1827 Strachan had concluded that a leasing policy was inadequate. Popular opposition to the clergy reserves was increasing in the early 1820s, and Strachan and Lieutenant Governor Maitland concluded that the only way to deflect it was to sell a portion of these lands, thus opening them to settlement and, it was hoped, increasing the revenues of the church. 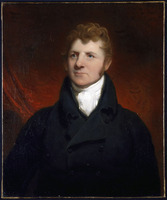 It was agreed that Strachan should go to London as an official delegate from the government of Upper Canada to put this policy to the British government, and he reached England at the end of March 1824. 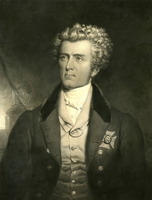 He found that the colonial secretary, Lord Bathurst, and the under secretary, Robert John Wilmot-Horton, were sympathetic to selling, but they were also deep in discussions with John Galt* and the officials of the Canada Company, looking to the sale of a much larger amount of crown land to that company. 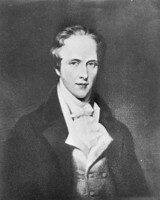 Strachan was asked to negotiate with Galt to see whether the company might buy the clergy reserves as well; Strachan was agreeable in principle but insisted that only about a third of the reserves should be sold, and on better terms than were initially offered so that the proceeds would ensure the security and growth of the Church of England in Upper Canada. Thinking that the company would modify its terms, he indicated in July 1824 “that the arrangement, as it would then stand, would be as fair as could be expected.” He then went off to Scotland to visit friends and relatives, after a quarter century’s absence. On his way back to Canada in September 1824, he discovered that the terms of sale had not been modified. It then became his duty, as he saw it, to oppose the Canada Company’s proposals, and no sale occurred. Strachan was concerned with still another subject in 1824: his own future in the church. For several years he had been hoping that the elderly bishop of Quebec, Jacob Mountain, would retire, and that the occasion would be used to divide the large and unwieldy diocese. 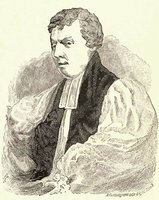 In 1819 he had asserted that Mountain’s “habits and manners were calculated rather for an English Bishop than the Missionary Bishop of Canada. We want a primitive Bishop who will go round the Country & preach the Gospel. . . . We want a Bishop that will encourage his Clergy by frequent & liberal communications . . . & give them an example of attention to duty combined with learning and moderation.” In 1824 Strachan put his case directly to the Colonial Office, asked that the diocese be divided, and that he be appointed bishop in Upper Canada, “an office to which no other Clergyman in either of the Canadas can with equal justice aspire.” The Colonial Office refused, largely for financial reasons, and Strachan was fated to wait 15 more years for his mitre, always under the hazard that another might be appointed. For the time being he had to be satisfied with the promise of appointment as archdeacon of York. Even this honour was slow in coming; the letters patent were not issued until 1827. In the autumn of 1824 Strachan returned from London to an Upper Canada that was rapidly changing, and in ways that were highly disquieting to him. William Lyon Mackenzie was assailing the Family Compact in the Colonial Advocate. Anti-government (or “reform”) men were gaining control of the assembly. Attacks on the clergy reserves were increasing. The “alien question” was sharpening political debate [see Rolph]. The whole tone of society seemed to be turning more “Yankee” and democratic. Strachan was as convinced as ever that the province was essentially sound, but also that vigorous measures were needed to keep it on the right path. The British government must support loyal men and not countenance agitators. It must publicly declare that the Church of England was the established church in Upper Canada and that the church was entitled to all the proceeds of the clergy reserves. The educational system must be strengthened to encourage loyalty and social order. With his usual combativeness and energy Strachan resolved to fight for the right, as he saw it. 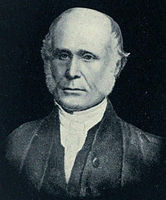 In the spring of 1826 Strachan returned to England, authorized by the provincial government to seek a university charter. This time he would be overseas for well over a year. By March 1827 the terms of the royal charter for the University of King’s College had been announced. For the most part the charter represented Strachan’s handiwork, but not in every respect. He had proposed that the president must be a member of the Church of England, but the charter more narrowly stipulated that the archdeacon of York must be president, a provision Strachan thought both unnecessary and unwise. It also provided that the governing body, the college council, must subscribe to the 39 Articles, which Strachan had not asked for. Nevertheless Strachan defended the charter, then and later, as the most liberal ever granted under the royal seal – more liberal than was thought wise by leading English churchmen. To be sure, the university would be firmly under church control, but there were to be no religious tests for students. It was to receive a handsome land endowment and annual payments from the Canada Company. The grant of the charter fulfilled Strachan’s deepest ambition. He felt that he deserved well of the province, and he was to be astounded at the torrent of opposition that later assailed him. In fact, however, he did much to provoke this opposition by writing and publishing in England An appeal to the friends of religion and literature, in behalf of the University of Upper Canada (London, 1827). In this appeal directed to church people, he unwisely described the university as “a missionary college,” intended mainly to train Church of England clergymen, thus undercutting much of his emphasis on the liberal features of the charter. In the summer of 1826 Strachan also resumed his discussions with the Canada Company regarding the sale of the clergy reserves, and when no agreement could be reached, the company agreed to buy, instead of all or part of the reserves, a block of some one million acres bordering on Lake Huron. Strachan thereupon renewed his application to the government for authority to sell the reserves. While the matter was before parliament, certain Scottish MPs, acting as spokesmen of the Kirk, made charges against the Church of England and called for a general inquiry into church affairs in Upper Canada. Asked by Wilmot-Horton for further information, Strachan “hastily drew up [a] letter to that Gentleman,” to which he attached an “Ecclesiastical Chart.” The letter declared that “the tendency of the population is towards the Church of England, and nothing but the want of moderate support prevents her from spreading over the whole province.” He dismissed the “teachers of the different denominations,” with a few exceptions, as coming “from the United States, where they gather their knowledge and form their sentiments.” This hurried and provocative letter, with its inaccurate chart, seriously damaged Strachan and his cause for years to come. Nevertheless, before his return to Canada in the summer of 1827 the imperial parliament passed an act authorizing the sale of one-quarter of the reserves, with sales not to exceed 100,000 acres in any one year. 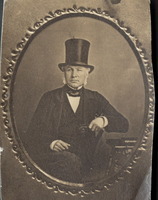 The act coincided with the adoption of a general sales policy for all crown lands and the appointment of a commissioner of crown lands (Peter Robinson*, John’s older brother). The new system had both advantages and disadvantages as far as Strachan was concerned. In effect, the reserves were now administered by the government instead of the Clergy Corporation. But that administration was friendly to the church, and it was clearly understood that the proceeds from sales were to go to the support of a Protestant clergy, which the government of Upper Canada interpreted to mean the Church of England. Moreover, with a vigorous sales policy, the reserves should soon cease to be obstacles to settlement and they should produce revenues needed to encourage the growth of the church. 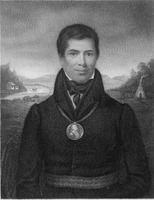 Strachan came home in 1827 with high hopes of achieving his goals in education and religion, but in fact he suffered bitter frustration and disappointment in the following years. The Reformers, who gained a majority in the assembly in 1828, were now not only opposed to the Church of England’s exclusive claims to the clergy reserves but they were even coming to deny the very concept of an established church and to reject any government support for religious denominations. The majority also attacked the “exclusive” terms of the university charter and insisted that it be amended to eliminate Church of England control. Strachan’s response to mounting popular criticism was to insist that government, both in Upper Canada and in London, stand firm in defence of the rights vested in the Church of England. The reserves had been granted by King George III; the grant had been confirmed by imperial statute; the university charter had been granted by George IV. These were grants that a colonial legislature could not touch. If government firmly resisted the clamour of demagogues the furore would die down, and the church would grow rapidly with the influx of British immigrants. But, to Strachan’s mounting dismay, government did not stand firm, either in Upper Canada or in Great Britain. 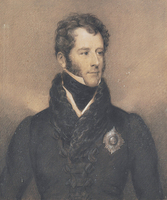 In 1828 Sir John Colborne replaced Maitland as lieutenant governor. Strachan never developed the same bond of trust with Colborne that he had enjoyed with Maitland. To be sure, Colborne was a staunch Anglican, but he was determined to remain somewhat aloof from the advisers who had surrounded Maitland and to ensure that “public opinion [was] more consulted than it has been.” Strachan found himself without his accustomed influence. 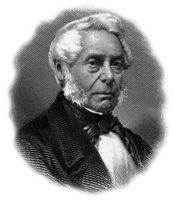 More serious was the fact that Colborne thought that starting the university was premature, and that Upper Canada’s first need was a good preparatory grammar school conceived on English lines. 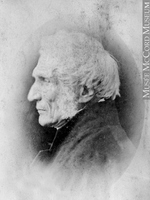 In 1829 he was instrumental in founding Upper Canada College. Strachan could not openly oppose this step, but he felt that delay in starting the university would be harmful to both church and state. The times were out of joint, but Strachan refused to give way “to idle clamour founded upon misstatement and ignorance.” He believed that “by losing control of the University the Church loses her right arm and her right eye,” and he told Colborne that he “would perish on the Scaffold rather than give up the Reserves or College Charter.” Despite the “torrents of Calumny” with which he had been “assailed,” he had “a fearless elasticity which nothing has as yet moved. I am conscious of having done more for the Church in this Province than any other person ever has or perhaps ever can do. . . .” Strachan was quite aware that Bishop Charles James Stewart*, Mountain’s successor, and perhaps other church leaders thought him too outspoken and unbending in a stubborn Scotch way; he thought they lacked political skill and toughness. As Strachan’s political role waned somewhat, he pursued his clerical duties with redoubled energy. He trained young men for the priesthood, and as archdeacon of York set out on long visitations of the province, travelling many hundreds of miles over primitive roads. He supervised the rebuilding of St James Church. In 1832 he made two notable pronouncements which illustrated his conception of the church. One of these, published in New York, was in the form of A letter to the Rev. Thomas Chalmers . . . on the life and character of . . . Dr. Hobart, bishop of New-York . . . , who had died in 1830. Strachan had known and deeply admired him since 1816 for at least two reasons: by his unceasing efforts Hobart had brought the Protestant Episcopal Church in New York to a flourishing condition, and by his readiness to engage in controversy he had fearlessly contended with error in his diocese. The second statement was in a sermon preached at the visitation of Bishop Stewart. Since the church was about to lose support which it had long received from the Society for the Propagation of the Gospel [see Hawkins], it must, he argued, “in future . . . depend more upon [its] own resources and exertions than has been hitherto required.” In calling for a return to the primitive usage of holding synods, Strachan was already anticipating the self-governing church that he would later bring into being. But 1832 was most memorable for another event, the terrible cholera epidemic which caused the death of about one-twelfth of the population of York. Strachan was untiringly active in ministering to the sick, arranging for burials, and seeking to prevent panic. He took the leading role in a “Society for the Relief of the Orphan, Widow, and the Fatherless” and successfully appealed to the public for assistance in providing for the destitute. In 1834, when cholera returned, he again attended the stricken “without regard to considerations of personal danger or fatigue.” Strachan’s activities so impressed the citizens of Toronto that they presented him with a silver vase worth £100. In 1833 another recognition had come when his former pupils in Cornwall had presented him with a silver epergne worth 230 guineas. These ceremonies afforded brief respite from the controversies that were a regular part of Strachan’s life. Strachan’s continued firm stand regarding the clergy reserves and the university increasingly focused criticism on his membership in the executive and legislative councils. Already, in 1832, the colonial secretary had indicated that both the Roman Catholic bishop, Alexander Macdonell*, and Strachan might be well advised to resign from the Legislative Council. In 1835 the colonial secretary indicated that he considered it inappropriate for Strachan to attend the Executive Council, and Strachan at once sent in his resignation, effective 1 Jan. 1836. He wrote to Alexander Neil Bethune* that “the situation [had] been for many years . . . irksome and with such Ministers at home more than irksome – besides the radicals hate the Clergy and I was daily exposed to insult,” without being able to accomplish anything effective. Besides, he could see “responsible government” on the horizon; it was better to retire than to be dismissed. The Legislative Council was another matter, and here he refused to budge. On 5 Feb. 1836 the Reform majority in the assembly adopted an address which declared that Macdonell and Strachan were “devoting their time and talents to political strife and secular measures. . . .” But Strachan had no intention of being “driven by violence and menace from the seat to which my Sovereign has appointed me. . . . I can perceive no honourable alternative but respectfully and firmly to maintain my post.” In fact, however, Strachan no longer played an important political role, except where church and church-related matters were concerned. It was as well for him during the tempestuous months to follow. 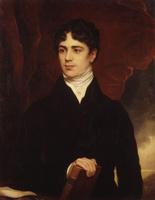 He was of course associated with the Tory side on such issues as Colborne’s endowment of the rectories, Sir Francis Bond Head*’s “bread and butter” election, and in the events leading to the rebellion of 1837, but he was not involved in policy-making or in political debate relating to these questions. Instead, Strachan’s central concern from 1835 to 1839, apart from the ever present and closely connected matters of the clergy reserves and the university, was the future of the diocese. 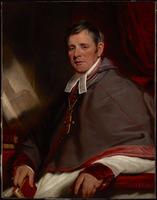 He had long believed that it should be divided, and that he had earned the right to be appointed bishop in Upper Canada, but Bishop Stewart was not disposed to support Strachan’s claims. 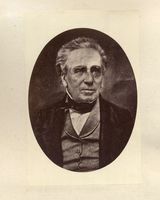 When Stewart became dangerously ill, it was arranged that Archdeacon George Jehoshaphat Mountain (son of the former bishop) should go to England to be consecrated as coadjutor; he succeeded Stewart at the latter’s death in 1837. Thus the diocese remained undivided, and again Strachan had been passed over. He made no attempt to hide his bitter disappointment. The clergy of Upper Canada also petitioned the imperial government for a division of the diocese. By 1838 the Colonial Office had made it clear that it was agreeable to division but that it could not provide the bishop with a salary. In May of that year Strachan indicated that the salary question could be postponed: “It would be deeply mortifying for me to be superseded by a stranger; for the best men like to rise in their own profession, and he that is disappointed at my age can scarcely console himself with the hope of future promotion.” Early in 1839, at age 61, Strachan learned that he was to be appointed bishop, without a stipend, and that he would have to pay the £250 fee for the patent. (He had to borrow £350 sterling to cover this and other expenses.) It would be necessary for him to continue as archdeacon and as rector to find sufficient income. He set off for England to be consecrated and was back in Toronto before the end of the year to be enthroned in the newly rebuilt St James Cathedral, as it now was (it had burned in January 1839). The recognition, however grudging and long delayed, had come, and the era of “John Toronto,” to last more than a quarter century, had begun. Many matters occupied Strachan’s attention in these years, including the founding of the Church newspaper in 1837 (published at Cobourg under the editorship of A. N. Bethune) and Lord Durham [Lambton*]’s mission. He attended his “first political meeting” to express confidence in Durham, but later, predictably, strongly opposed union of the Canadas and of course had contempt for the concept of responsible government. But the two most important questions, apart from the bishopric, continued to be the university and the clergy reserves. When Strachan had returned from England in 1827 with the charter and a large endowment for the university, he had hoped that it could be in operation within a year or so. A college council and administrative officers had been quickly chosen. A highly desirable site just north of the town was secured. But as opposition to the charter mounted, the colonial secretary ordered that its operation be suspended until the legislature of Upper Canada had an opportunity to consider and propose amendments. 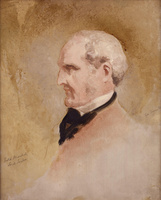 From 1829 to 1836 Strachan and the members of the college council were sufficiently strong in the Legislative Council to turn back all amendments proposed by the assembly. On several occasions Strachan indicated he was not averse to amendments that did not change the basic character of the institution. With the victory of the conservative assembly in 1836, agreement between the two houses became possible, and the charter was amended in 1837 to reduce considerably the visible or explicit aspects of Church of England control over the university. It might have seemed that progress toward opening the university could now have been made and, in fact, after the inevitable delay occasioned by the rebellion, tenders for the construction of buildings were called for in 1838. But another complication arose. The new lieutenant governor, Sir George Arthur*, took a close look at the accounts kept by the bursar, Colonel Joseph Wells*, and found them to be hopelessly muddled. Among other irregularities, he discovered that Wells, on his own responsibility, had lent considerable sums of money to various persons, including Strachan, without requiring adequate security. Although Strachan returned the money, the revelation was highly embarrassing to him and to the college council. This episode, and the impending union of the Canadas, were further causes of delay in the opening of the university. 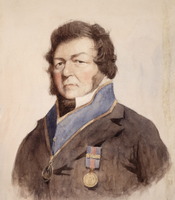 Only with the arrival of Governor General Sir Charles Bagot* in 1842 were obstacles removed; in April Bagot, as chancellor, laid the foundation stone of King’s College, and President Strachan gave the blessing. The official opening took place on 8 June 1843, marked by a speech in which Strachan reviewed the vicissitudes of the university over the previous 16 years. They were far from over, as events would soon show, and the appearance of victory would be turned to defeat within a half dozen years. Meanwhile, Strachan had been fighting an equally stubborn campaign over the clergy reserves, one also destined to end in failure. 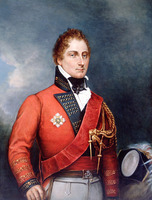 Irritation over the reserves was widely considered to be the most pressing problem facing Upper Canada in the late 1830s – a “Pandora’s Box” as it was called. 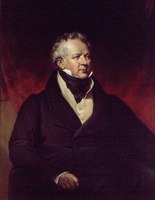 Sir George Arthur tried, early in 1839, to secure the passage of a bill to sell the reserves and use the proceeds “for religious purposes.” Since this bill ignored the principle of an established church, which was “part and parcel of the Constitution of Great Britain,” Strachan and John Macaulay voted against it in the Legislative Council, asserting that it promoted and encouraged “Error, Schism and Dissent against which all Christians are bound to pray.” While he was in England that summer to be consecrated Strachan lobbied against the bill, which in fact was disallowed on a technicality. 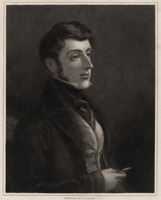 Governor General Charles Poulett Thomson* now tried his hand and early in 1840 obtained passage of a bill giving the Church of England and the Church of Scotland each a quarter of the proceeds with the remaining half to go to other denominations. Again, Strachan bitterly attacked the bill and again set out to build up pressure against it in England. And again the bill was disallowed, on the ground that its provisions were beyond the powers of the Upper Canada legislature. Only the imperial parliament could act, which it did in a bill passed in August 1840. Its terms were far from satisfactory to Strachan, but they were much better than he could ever have hoped for from a Canadian legislature. By a rather complicated formula of division, the Church of England, with about one-fifth of the population, would receive some five-twelfths of the proceeds from the sale of the reserves. At least the settlement promised to be a final one, and Strachan set out to realize as good a return on the sale of the church’s five-twelfths as could be obtained. That quest led him into many further sharp controversies during the 1840s. In 1842 Strachan initiated two important projects. The first was the establishment of the Diocesan Theological Institution at Cobourg for the training of clergymen for the church. He had hoped, of course, that King’s College would perform this function, but repeated delays in opening that institution, and then actual and threatened changes in its charter, convinced Strachan that the church must set up its own divinity school. 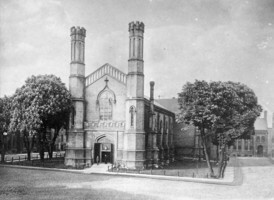 Headed by Strachan’s protégé and future successor, A. N. Bethune, the theological institute existed for nine years, until it was absorbed into Trinity College in 1852. The institute became an object of suspicion among evangelical and low church elements in the diocese, as Trinity continued to be in the next decade. Strachan’s second project was the establishment of the Church Society in April 1842. It replaced several existing smaller societies and provided a framework in which clergy and laity could work closely together to defend and advance the interests of the church. Its main tasks were to watch over the church’s finances, to raise money for missionary activities, and to provide pensions for retired clergymen. The society made a determined, although ultimately unsuccessful, attempt to gain complete administrative control over the church’s five-twelfths’ share of the clergy reserves. In the midst of his arduous diocesan duties Strachan was plagued by financial embarrassments, which indeed were of long standing and to some extent self-inflicted. There had always been heavy claims on his fair-sized income. He liked to “live well,” as he once put it: a large house, carriage, servants, a good table. He wished to provide adequately for his several children, and he was generous (and unlucky) in lending money to relatives. He of course had to subscribe to innumerable charities and good works. Like most Upper Canadians he had dreams of achieving financial security by speculating in land and stocks, and, like most, his speculations proved to be disappointments. In the 1830s his salary began to shrink as he gave up various offices and then became bishop without a stipend. He was now chronically in debt. He bombarded the British government with complaints that the diocese of Toronto (as large as the whole of England) was the only one ever established by the crown not to be provided with an endowment: “The Church of England stands here, as in Ireland, the only effectual barrier to separation from the Parent State. 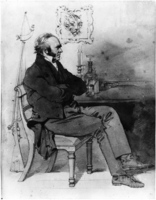 But she cannot so stand for any length of time under the frown of the Imperial Government.” Finally, in 1846, it was agreed that there was sufficient money in the clergy reserves fund to grant him an annual salary of £1,250, provided he relinquished his posts as rector and archdeacon, which he did in 1847. But financial embarrassment continued to dog Strachan for the rest of his life. The opening of King’s College in 1843 meant no cessation of the attacks upon the institution. 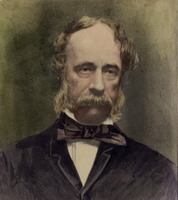 In that very year Robert Baldwin* introduced a bill to establish a “University of Toronto,” in effect a federation of King’s, Queen’s, Victoria, and Regiopolis colleges, which would control the King’s College endowment. This threat ended with Baldwin’s resignation in 1843, but in 1844–45 a more serious challenge came in a similar bill for a “University of Upper Canada” introduced by a Conservative government headed by William Henry Draper*, and supported by many moderate Anglicans. It was particularly galling to Strachan to find that “our greatest enemies are among ourselves”; he bluntly informed one Conservative member that he could not “consider anyone who [supported the bill] in any other light than an enemy or a Traitor to our Holy Catholic Church.” In the end the ultra-Tories forced Draper to withdraw the bill. University bills also failed in 1846 and 1847. Meanwhile, King’s College continued in successful operation with high academic standards and a distinct Church of England atmosphere. Satisfied that it was functioning effectively, Strachan resigned as president early in 1848. 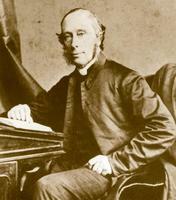 In April 1850 Strachan set out for England to secure a charter and to raise money for the projected church university. When he returned in the autumn he had, after strenuous efforts, achieved a high degree of success. On 30 April 1851 the cornerstone of the University of Trinity College was laid, and classes began in January 1852. After the destruction of King’s College Strachan was more than ever convinced that the church must organize effectively to protect its interests. It was clear that the imperial authorities would no longer intervene on the church’s behalf. Within Canada the church was almost without political power, because, as Strachan saw it, government under the union was dominated by an alliance of Roman Catholics and Dissenters. In an era of Canadian self-government the church itself must become self-governing as a sheer matter of survival. It was time to move toward the establishment of diocesan synods, which Strachan had long seen as one of the great strengths of the Protestant Episcopal Church in the United States. In 1857 a start was also made in solving the problem of the size of the rapidly growing diocese. In 1853 Strachan had written to the archbishop of Canterbury noting that “it is rather too much for a Bishop who will pass his 75th birthday in a few short weeks to be obliged to travel continuously three or four months over very rough roads every Summer often with very poor accommodation.” Financial problems delayed the division, but in 1857 an election was held for the new western diocese of Huron and to Strachan’s chagrin Bethune was passed over in favour of the low churchman, Benjamin Cronyn*, who had been opposing Strachan on various issues for several years. 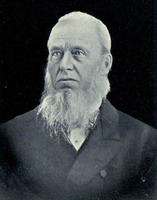 In 1861 the eastern portion was split off to form the diocese of Ontario and again Bethune was passed over by the church electors in favour of John Travers Lewis*. By this time Strachan had fought his last great battle over the clergy reserves. 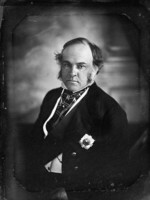 In 1854 the legislature passed a bill secularizing the reserves (Strachan called it “the most atrocious specimen of oppressive legislation that has appeared since the days of the French Convention”), after long and complicated manœuvring in both England and Canada, and despite all of Strachan’s efforts in opposition. His cherished ideal of a union between church and state had been formally and finally repudiated. But with his usual tenacity Strachan seized on one feature of the bill which stated that clergy stipends then being paid were not to be disturbed and, second, that these life interests might be commuted to form a fund to be administered by the Church Society. The bishop at once set out to convince his clergy to surrender their stipends and after arduous effort he succeeded in nearly every case. He had lost the battle over the reserves, and yet he had salvaged a sum from which to provide income to his clergy for years to come. It was not until he was well into his 80s that Strachan’s usual good health began to falter. In 1863 he received a severe blow in the death of Sir John Beverley Robinson. With the somewhat faulty memory of an old man, he wrote his daughter-in-law that “there never was an unpleasant word between us during his whole life.” In the following January he wrote that he was “both deaf & blind to a very inconvenient degree,” and “were I out of debt I would retire on two thirds of my salary or income but even that would put me to serious inconvenience.” In July he reported that his sight was “somewhat better” and that he expected to undertake his “usual confirmation journies”; he had “a strong antipathy to the word resignation.” In October 1865 came another heavy loss with the death of his wife Ann, his partner of 57 years; for some time she had been a recluse, grieving over the deaths of all but one of her children. 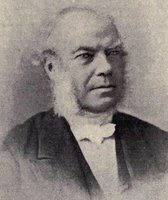 At long last, in September 1866, Strachan acceded to pressures from the synod for the election of a coadjutor, and Bethune was elected on the ninth ballot. After the latter’s consecration by Strachan in January 1867, the old bishop was relieved of most of his “more onerous duties,” as he put it. He preached in the cathedral only once that year, and died on All Saints’ Day, in his 90th year. He was given an impressive state funeral in Toronto. Strachan has been correctly remembered as the Canadian arch tory of his era. 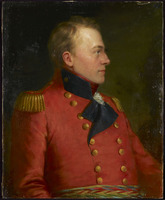 Although he had shown some liberal or even radical tendencies as a student in Scotland, the course of the French Revolution and the circumstances of Upper Canada’s position in North America turned him into a firm and unyielding defender of inherited tradition. He believed in an ordered society, an established church, the prerogative of the crown, and prescriptive rights; he did not believe that the voice of the people was the voice of God. No man could have fought harder or more persistently for what he understood to be right, but the liberal, secular, and nationalistic trends of the time were bound to bear him down. Yet it is remarkable what he did manage, with the help of others, to save and to fend off, for his time and many years afterward. The tie with the mother country remained close. Canadian politics and society were less obviously “democratic” than in the United States. Neither in the schools nor in the colleges did education become completely secular. Strachan even salvaged something from the secularization of the clergy reserves. Strachan’s kind of toryism was so out of fashion in his day, and increasingly since, that there is some danger of its being misunderstood. It was not synonymous with religious intolerance. Strachan had good personal relations with men of other denominations and respected the historic Christian churches. He did believe that in every well-ordered state there should be an established church to perform certain special functions. This role meant no limitation on complete freedom of worship. His toryism was not synonymous with obscurantism. He believed in rational religion, opposed “enthusiasm” and superstition, and devoted much of his life to the encouragement of education at all levels. Nor was it synonymous with colonial subserviency or with rural conservatism. Strachan strongly resented uninformed interference in Canadian affairs by the British parliament or by Downing St bureaucrats. 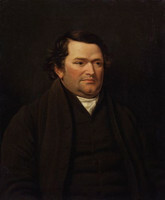 He was a vigorous advocate of such projects as canals and banks, and sought generally to advance the economic improvement of British North America. Moreover, because Strachan fought so hard, so long, and at times so bitterly, he may be remembered as a harsh, narrow autocrat, devoid of human qualities. Lord Elgin [Bruce] called him “the most dangerous and spiteful man in Upper Canada,” and dozens of similar assessments could be quoted. But a close look at his long career reveals a more complex and also more appealing figure. From his school and college background in Scotland he acquired a love of controversy and a certain disputatiousness which over the years landed him in difficult situations that a more prudent man would easily have avoided. This warmth in his nature also led him to develop a large number of friendships that endured over the decades. His letters to his wife and family and his copious diocesan correspondence disclose his capacity for affection and his constant concern for the needs and problems of others. As he grew old and suffered the long series of losses and defeats, he did not become bitter but remained sanguine, and his native wit and humour took on a certain mellowness. Amidst the defeats and the holding actions, his restless energies had yielded much positive accomplishment. The educational system, although it eventually departed from his conception in important respects, had received much of its original stimulus from him. He had personally trained many of the most capable Canadian leaders of the second quarter of the 19th century. Above all, he was a great church statesman, in some ways in spite of himself. 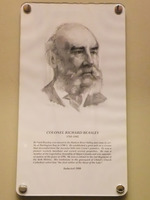 In his long and losing fight to preserve the connection between church and state and the status of the Church of England, he turned that church into a vital Canadian institution, with its roots deep in native soil. 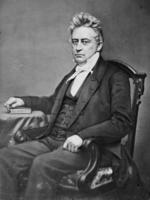 [John Strachan’s writings, both in manuscript and in print, were extremely extensive, and for the most part have been preserved. The largest collection of his correspondence, including his letter books, is at the PAO. Strachan papers are also in the Trinity College Archives (Toronto), USPG (C/CAN/Strachan), MTCL, and PAC (MG 24, J1). Among other important collections containing material by him or relating to him are PAO: Bethune (Alexander Neil) papers, Boulton (Henry John) papers, Macaulay (John) papers, Osler family papers, Ridout papers, Robinson (John Beverley) papers; Trinity College Archives: Young (A. H.) papers; MTCL: Robert Baldwin papers, William Dummer Powell papers, Henry Scadding papers, Alexander Wood papers; PAC: Bagot papers (MG 24, A13), Colborne papers (MG 24, A40), Elgin papers (MG 24, A16); and QUA: Richard Cartwright papers, William Morris papers. This list is far from exhaustive. Many of Strachan’s letters and statements are in a large number of collections of government documents, stretching from the War of 1812 to confederation, and are to be found at the PRO (especially CO 42) and the PAC (especially RG 1, E3; RG 5, A1; and RG 7, G). Many of Strachan’s printed works are listed in Bibliography of Canadiana (Staton and Tremaine) and its First supplement (Boyle and Colbeck). Other important works by Strachan are: [ ], An address to the members of the Church of England, from the bishop of Toronto, in behalf of the Upper Canada Church University (London, 1850); Canada church establishment: copy of a letter addressed to R. J. Wilmot Horton . . . respecting the state of the church in that province ([London], 1827; also published as an appendix in U.C., House of Assembly, Journal, 1828); [ ], Church university of Upper Canada: pastoral letter from the lord bishop of Toronto to the clergy and laity of the diocese of Toronto (Toronto, 1850); [ ], Circular letter from the bishop of Toronto, addressed to the clergy and laity of the bishopric and see of Toronto, 15th January, 1840, on the subject of the clergy reserves ([Toronto, 1840]); A discourse on the character of King George the Third, addressed to the inhabitants of British America (Montreal, 1810); [ ], Journal of the visitation of the diocese of Toronto (Upper Canada) in the summer of 1840 . . . (London, 1841); [ ], Pastoral letter to the clergy and laity of the diocese of Toronto, on the subject of the university . . . (Toronto, 1850); A pastoral letter to the laity of the diocese of Toronto ([Toronto, 1861]); [ ], The petition of John, by divine permission bishop of Toronto, to the honourable the Legislative Assembly of Canada, April 13th, 1849 (Toronto, 1849); [ ], The report of the bishop of Toronto, to the Most Hon. the Duke of Newcastle, her majesty’s secretary of state for the colonies, on the subject of the colonial church (Toronto, 1853); A sermon, on the death of the Rev. John Stuart, D.D., preached at Kingston, 25th August, 1811 (Kingston, [Ont. ], 1811); A sermon, preached at York before the Legislative Council and House of Assembly, August 2nd, 1812 (York [Toronto], ). Church and state in Canada, 1627–1867: basic documents, ed. J. S. Moir (Toronto, 1967). [J. H. Harris], A letter to the Hon. & Ven. 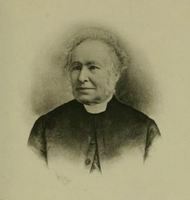 Archdeacon Strachan . . . respecting the principles and effects of the Bible Society (York [Toronto], 1833). 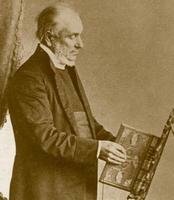 Ernest Hawkins, Annals of the diocese of Toronto (London, 1848). 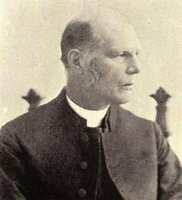 Charles Lindsey, The clergy reserves: their history and present position, showing the systematic attempts that have been made to establish in connection with the state, a dominant church in Canada . . . (Toronto, 1851). William Morris, Reply . . . to six letters, addressed to him by John Strachan, D.D., archdeacon of York (Toronto, 1838). [A.] 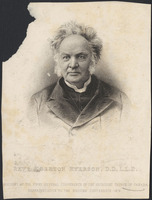 E. Ryerson, Letters from the Reverend Egerton Ryerson to the Hon. 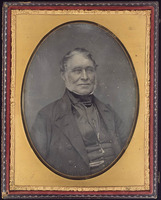 and Reverend Doctor Strachan, published originally, in the “Upper Canada Herald” (Kingston, [Ont. ], 1828). Scadding, Toronto of old (1873). Town of York, 1793–1815 (Firth). Town of York, 1815–34 (Firth). A. N. Bethune, Memoir of the Right Reverend John Strachan, D.D., LL.D., first bishop of Toronto (Toronto and London, 1870). Sylvia Boorman, John Toronto: a biography of Bishop Strachan (Toronto and Vancouver, 1969). W. P. Bull, From Strachan to Owen: how the Church of England was planted and tended in British North America (Toronto, 1937). David Flint, John Strachan, pastor and politician (Toronto, 1971). 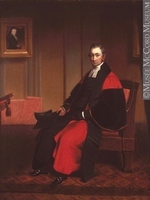 J. L. H. Henderson, “John Strachan as bishop, 1839–1867” (unpublished dd thesis, General Synod of Canada, Anglican Church of Canada, 1955); John Strachan, 1778–1867 ([Toronto], 1969). J. D. Purdy, “John Strachan and education in Canada, 1800–1851” (unpublished phd thesis, University of Toronto, 1962). T. B. Robertson, The fighting bishop: John Strachan, the first bishop of Toronto, and other essays in his times (Ottawa, 1926). Henry Scadding, The first bishop of Toronto: a review and a study (Toronto, 1868). [J.] 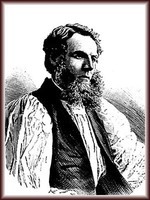 F. Taylor, The last three bishops, appointed by the crown for the Anglican Church of Canada (Montreal, 1869; London and New York, 1870). C. F. Headon, “The influence of the Oxford movement upon the Church of England in eastern and central Canada, 1840–1900” (unpublished phd thesis, McGill University, Montreal, 1974). Moir, Church and state in Canada West. 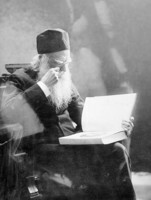 T. A. Reed, A history of the University of Trinity College, Toronto, 1852–1952 ([Toronto], 1952). Sissons, Ryerson. W. S. Wallace, A history of the University of Toronto, 1827–1927 (Toronto, 1927). Wilson, Clergy reserves of U.C. G. M. Craig, “Two contrasting Upper Canadian figures: John Rolph and John Strachan,” RSC Trans., 4th ser., XII (1974), sect.ii, 237–48. J. L. H. Henderson, “The abominable incubus: the church as by law established,” Canadian Church Hist. Soc., Journal, XI (1969), 58–66. W. C. MacVean, “The ‘Erastianism’ of John Strachan,” Canadian Journal of Theology; a Quarterly of Christian Thought (Toronto), XIII (1967), 189–204. O. R. Osmond, “The churchmanship of John Strachan,” Canadian Church Hist. Soc., Journal, XVI (1974), 46–59. 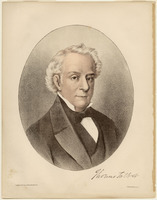 J. D. Purdy, “John Strachan and the Diocesan Theological Institute at Cobourg, 1842–1852,” OH, LXV (1973), 113–23; “John Strachan’s educational policies, 1815–1841,” OH, LXIV (1972), 45–64. Alison Smith, “John Strachan and early Upper Canada, 1799–1814,” OH, LII (1960), 159–73. 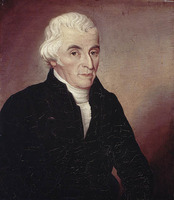 G. W. Spragge, “The Cornwall Grammar School under John Strachan, 1803–1812,” OH, XXXIV (1942), 63–84; “Dr. Strachan’s motives for becoming a legislative councillor,” CHR, XIX (1938), 397–402; “Elementary education in Upper Canada, 1820–1840,” OH, XLIII (1951), 107–22; “John Strachan’s contribution to education, 1800–1823,” CHR, XXII (1941), 147–58. J. J. Talman, “The position of the Church of England in Upper Canada, 1791–1840,” CHR, XV (1934), 361–75. A. H. Young, “John Strachan, 1778–1867,” Queen’s Quarterly (Kingston, Ont. ), XXXV (1927–28), 386–407; “The mission of Cornwall, 1784–1812,” OH, XXV (1929), 481–97. G. M. Craig, “STRACHAN, JOHN,” in Dictionary of Canadian Biography, vol. 9, University of Toronto/Université Laval, 2003–, accessed April 24, 2019, http://www.biographi.ca/en/bio/strachan_john_9E.html.